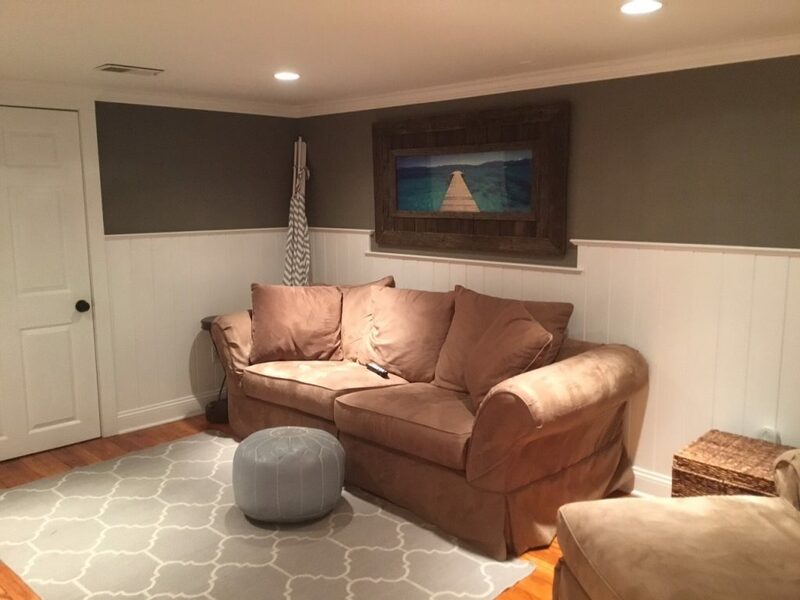 Finishing, renovating, or remodeling a basement is a popular renovation project, and for good reason. 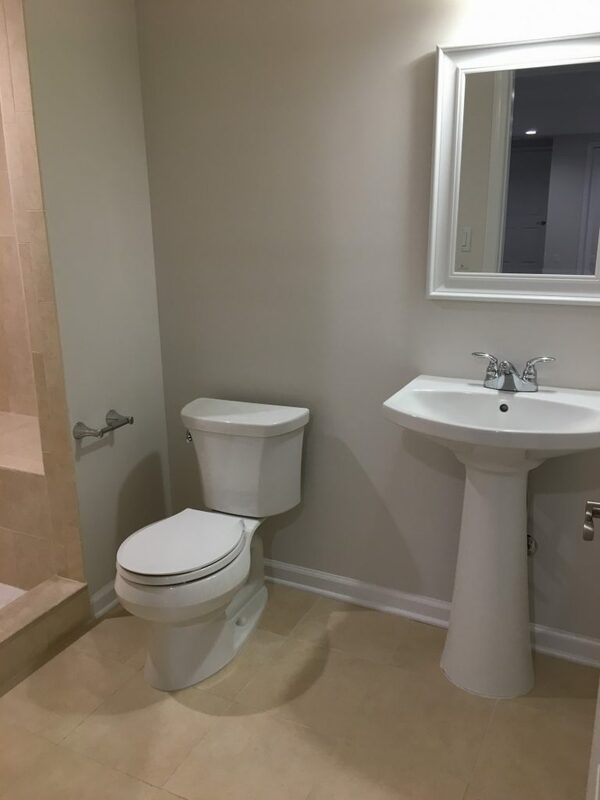 It adds additional living space, therefore improving the quality of life for you and your family. It also substantially increases your resale value. 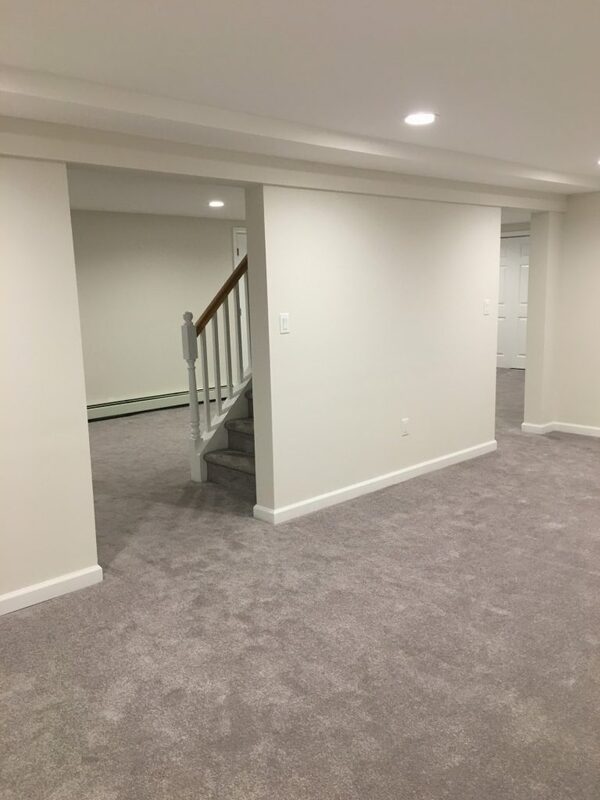 Since a basement renovation is less expensive than an addition, it’s a more cost-effective way to the additional square footage you want. 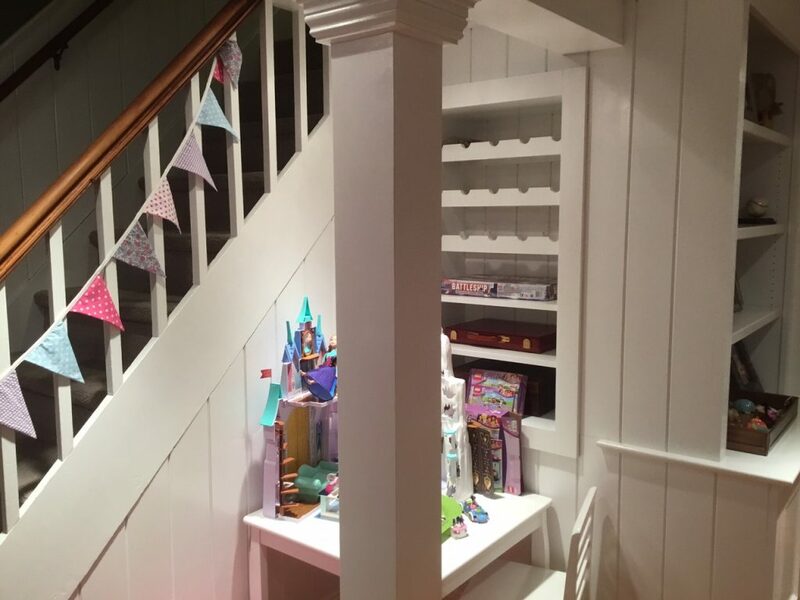 At Monks, we can take a completely unfinished and uninviting space, and turn it into a functional extension of your home. 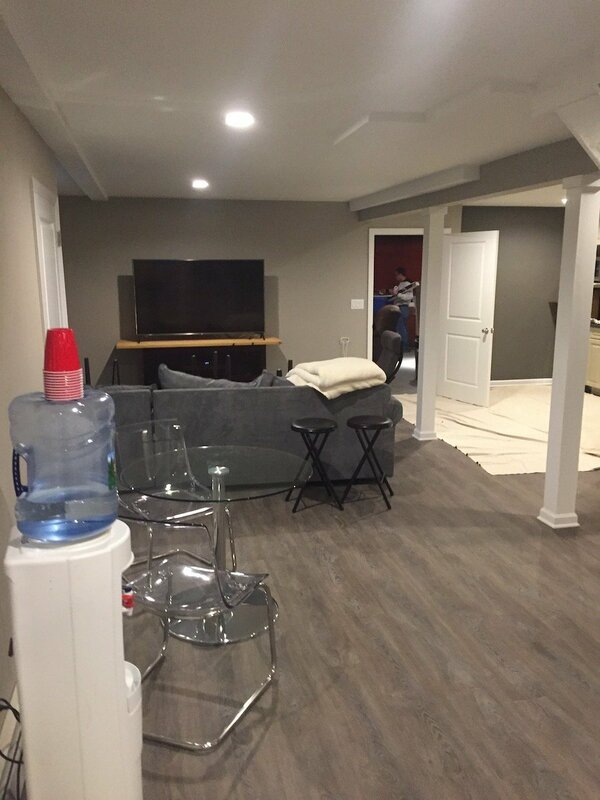 If you have a finished basement but it needs a makeover, we can renovate, reconfigure, add a bathroom, bedroom or bar. In either scenario, adding an egress window can also bring in light and provide safety. 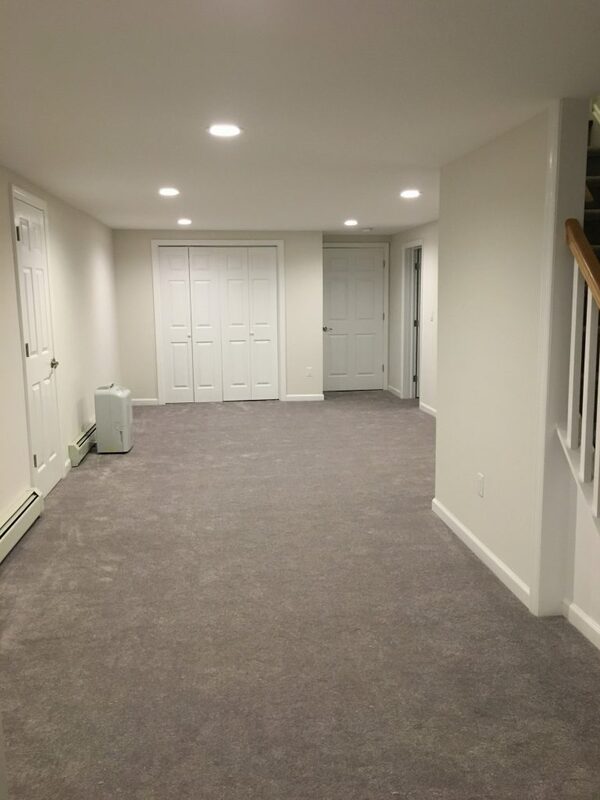 We offer a variety of services to renovate your basement space as you wish. 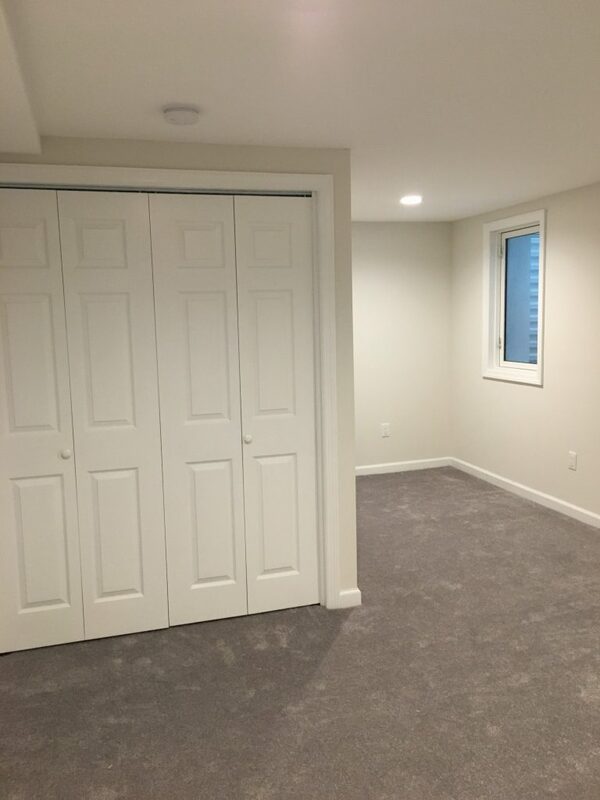 We’ve delivered finished basements for all of these needs. 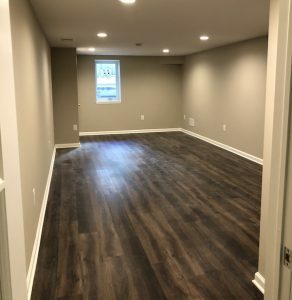 Similarly, our team of skilled craftsmen and diligent project managers work closely with you to create the ideal basement space for you. 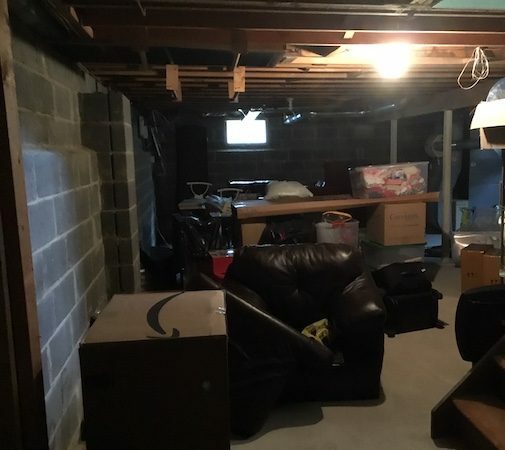 The basement below started out as a huge, unfinished space. We created a full kitchen, bathroom, dining room, exercise room, bedroom, and seating area. 2. Then, you’ll work with one of our in-house Designers to create a layout that is both functional and beautiful. This meeting will happen in one of our two showrooms. If you are adding a kitchen or bathroom, your Designer will also help create these areas. She’ll walk you through selecting all of your materials, based on your style and budget. 3-D renderings are included. 3. 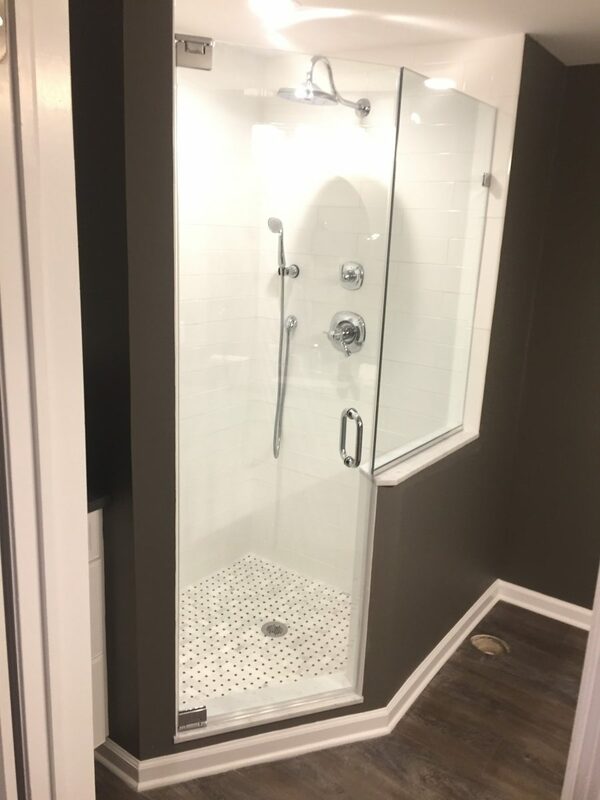 For basement remodels that include new windows, doors, flooring, or custom wine storage, you’ll also find experts on these products in both showrooms. 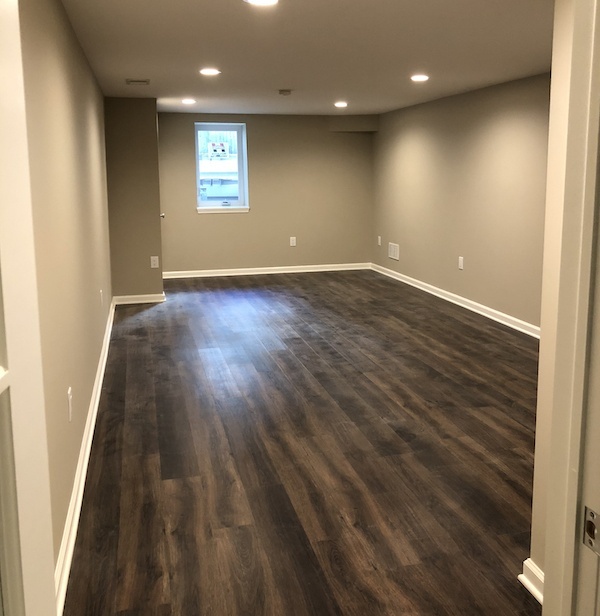 We offer many types of doors, windows, pre-finished flooring, luxury vinyl tile, and other engineered flooring products, perfect for basements. 4. 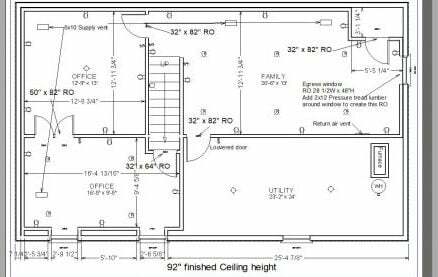 Your Project Manager will work with you finalize the designs, verify all material, file the proper sub-codes and complete the permit application process. Your project manager will oversee your project from start to finish. 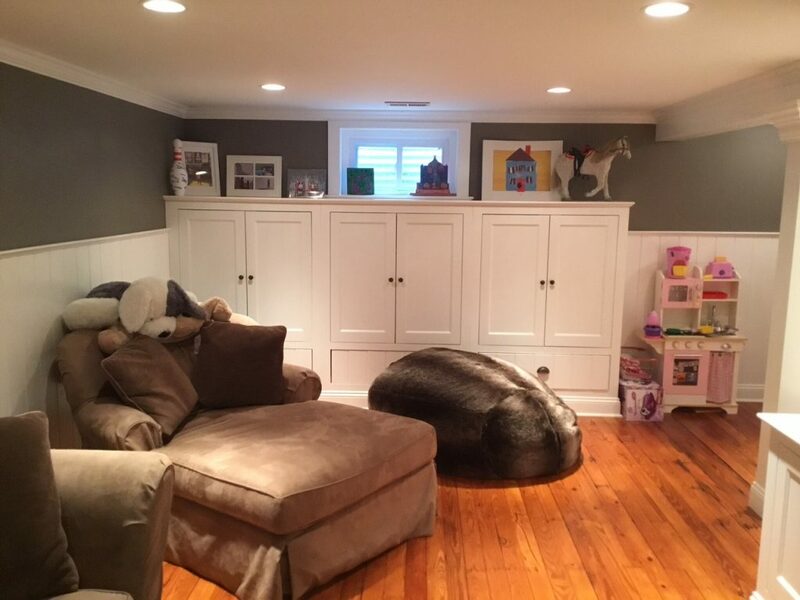 Here are a few additional basement projects completed by Monk’s. 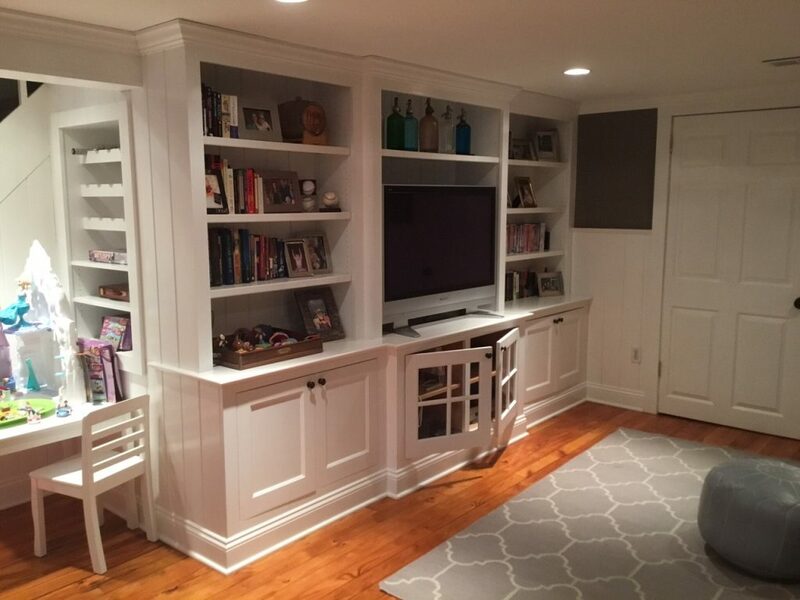 This basement project involved a lot of carpentry. 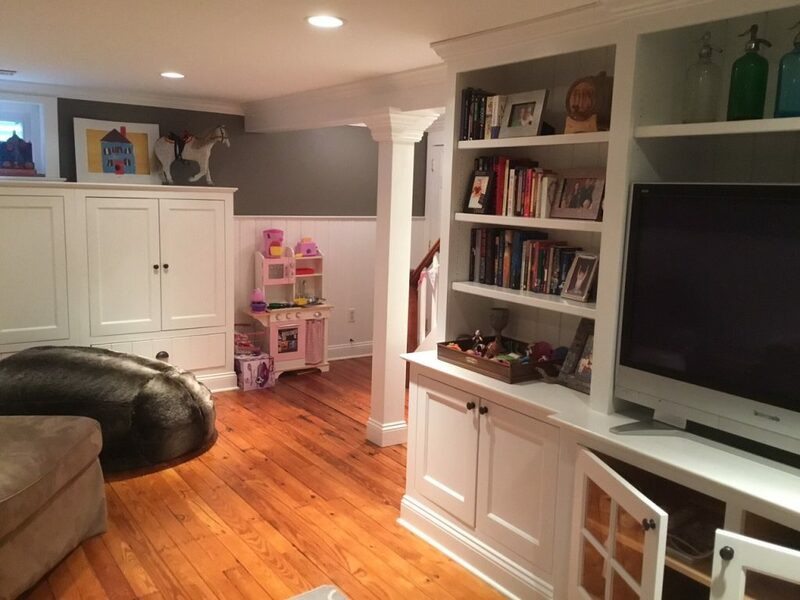 We constructed built-ins, put up board-and-batten wainscoting, added crown molding and trimmed the columns. 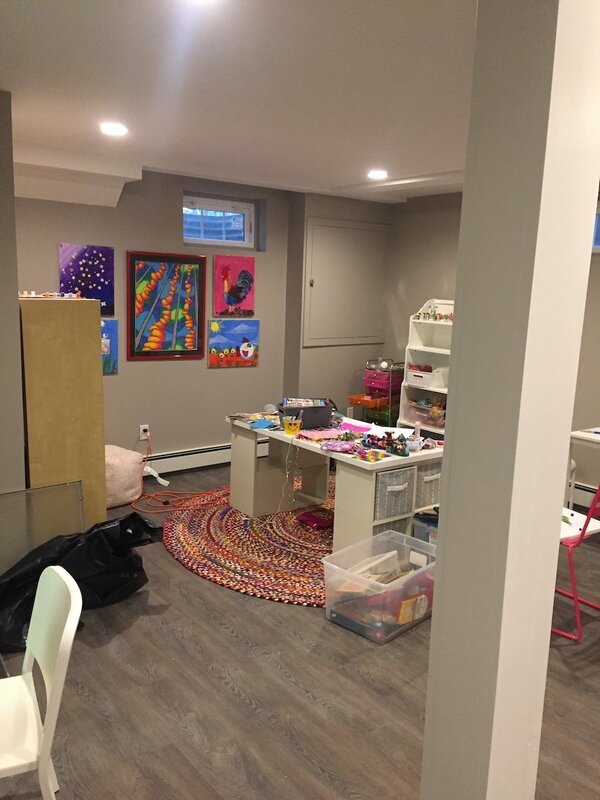 This basement project involved adding a new full bathroom, a kitchenette, and separate areas for the parents and kids. A completely unfinished basement when we started. 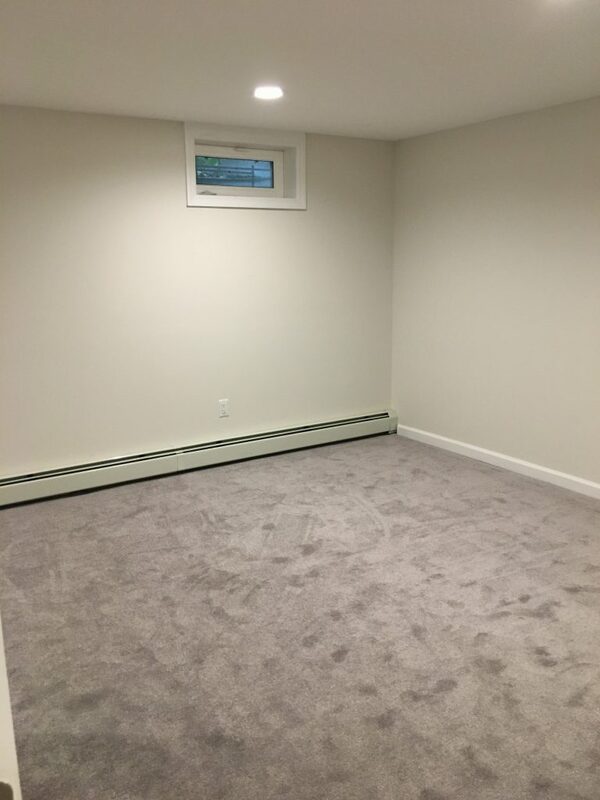 We finished the space, as well as added an egress window so the homeowners could market the home with an additional bedroom. 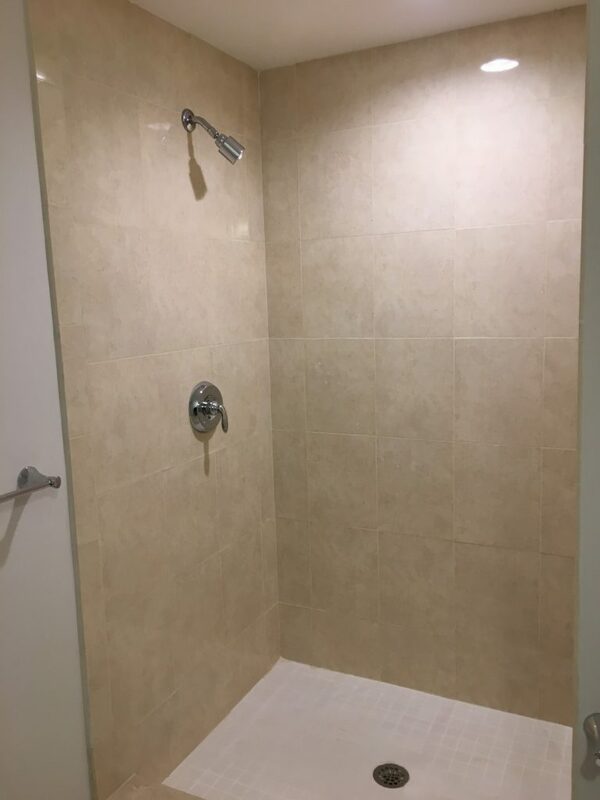 Whatever your basement renovation plans, Monk’s is ready to deliver a completed project you’ll love. Contact us today at 973-635-7900 to get started.